We write to express our concern regarding the U.S. military’s continued use of the Northern Training Area (NTA) in northern Okinawa’s Yanbaru forest, in light of the fact that the forest has been formally nominated for UNESCO World Natural Heritage status, along with the islands of Iriomote, Okinawa Prefecture, and Amami-Oshima and Tokunoshima, both in Kagoshima Prefecture. 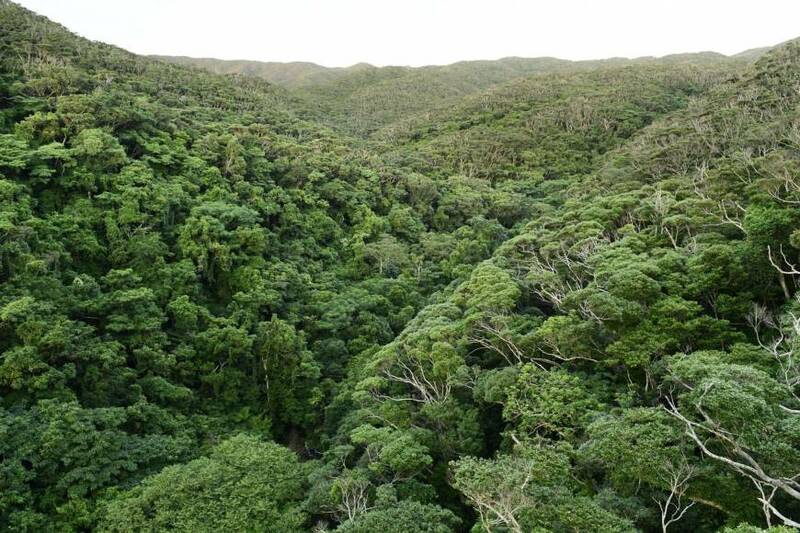 As you are well aware, the 27,800- hectare (68,695-acre) Yanbaru forest is the oldest subtropical rain forest on the island of Okinawa and one of the richest areas in terms of biodiversity in Japan. 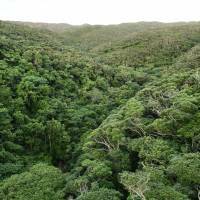 It is home to some 5,400 species of fauna and over 1,000 species of vascular plants. Among these are 170 endangered species included on the Japanese Environment Ministry’s Red List. Endemic and endangered species and Japan’s “Natural Monuments,” such as the Okinawa woodpecker and the Okinawa rail, are the best-known inhabitants of the forest. It is most appropriate that the Yanbaru forest is now being considered for UNESCO World Heritage status. However, since 1957, when 7,800 hectares (19,274 acres) of the Yanbaru forest were taken over by the U.S. military and converted into the NTA, U.S. forces have been conducting jungle warfare training and low-flying aircraft training missions there. There are also “landing zones” for military aircraft, including six new ones completed in December 2016 in the face of strong local opposition, as well as other training facilities within the NTA. World Heritage requires sites seeking certification to have “integrity,” which is defined by UNESCO as “a measure of the wholeness and intactness of the natural and/or cultural heritage and its attributes.” The NTA, which is under U.S. jurisdiction, is located in a sensitive part of the forest, just next to the Special Protection Zone of the newly established Yanbaru National Park. We are concerned that the presence of the NTA and the training of U.S. forces in the forest greatly hinder the nomination process. Regrettably, there is no evidence that the U.S. military has participated in or given proper consideration to the Yanbaru World Natural Heritage nomination process. None of the U.S. military’s documents available to the Okinawan public acknowledges the nomination process. Given that U.S. Forces Japan closely follows developments in Okinawa in general, especially ones associated with U.S. military facilities and areas, we have difficulty understanding why they have been silent on this issue. We do not know whether the U.S. military is simply ignoring the nomination process or if the Japanese government has properly informed the U.S. authorities of it. Either way, the lack of cooperation from the U.S. military further hinders successful inscription of the Yanbaru forest as a World Natural Heritage site. We do not believe that the U.S. military and government would like to be seen as an obstacle in the way of the World Heritage nomination process in an allied country. Also, we understand that, under the current U.S. National Historical Preservation Act (NHPA) (Section 402), the law that addresses matters related to the World Heritage Convention, while the U.S. military is required to take into account the effects of its undertakings — whether it be training or construction of facilities — on World Heritage sites and properties in foreign countries, it is not required to do so in relation to World Heritage nomination processes. We believe, however, that the spirit and intention of the NHPA is for the U.S. military to take into account the effects of allowing construction of landing zones and training in the Yanbaru forest. • Conduct an assessment regarding the impact of allowing the construction of landing zones and the conduct of aircraft and other types of training in the Yanbaru World Natural Heritage inscription process. • While conducting this assessment, cease issuing entrance permits to the Okinawa Defense Bureau for purposes of further facility construction and suspend its aircraft and other types of training. • Involve relevant U.S. government agencies, including the Advisory Council on Historical Preservation and the Office of the Assistant Secretary of Fish and Wildlife and Parks, in the assessment process.